Each year the staff of the Kenyon Review select a number of recent books as suggestions for their readers summer reading. 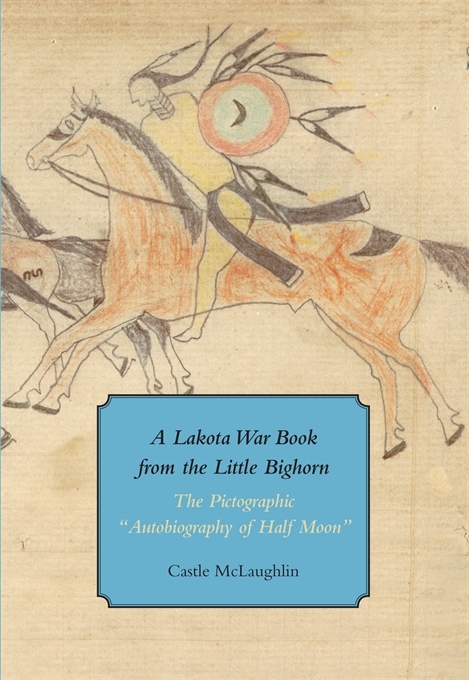 This year among the 48 Books to Read is Castle McLaughlin’s A Lakota War Book from Little Bighorn: The Pictographic “Autobiography of Half Moon.” A Lakota War Book was selected by Natalie Shapero, Kenyon Review Fellow. It is the fourth and latest in the series Houghton Library Studies established to provide a forum for the scholarly analysis of the wide-ranging materials in the collections of the Library. Other books on the list include recent fiction, poetry and non-fiction. McLaughlin’s book was the subject of an earlier blog post when it received a glowing review in the April 3rd issue of the New York Review of Books. We are pleased that the book appears to be reaching a wide and appreciative audience in addition to the scholarly community. Thanks to William P. Stoneman, Curator of Early Books and Manuscripts, and Series Editor for Houghton Library Studies, for contributing this post.